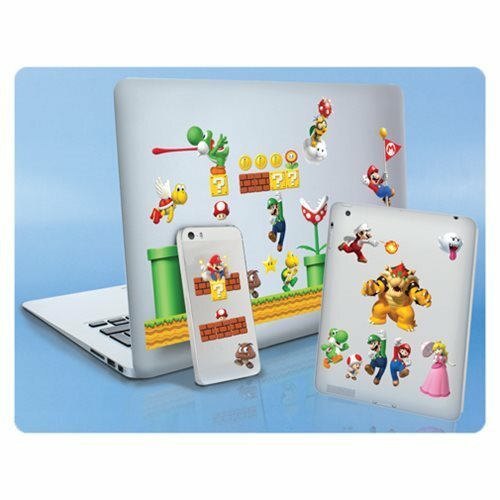 Give your smart device a magical upgrade with these Super Mario Bros. Gadget Decals Stickers! Decorate your phone, tablet, or any smart device and show off your love for the classic Super Mario Bros. video game. Use the 4 sheets of decal stickers to create your own level! Ages 6 and up.